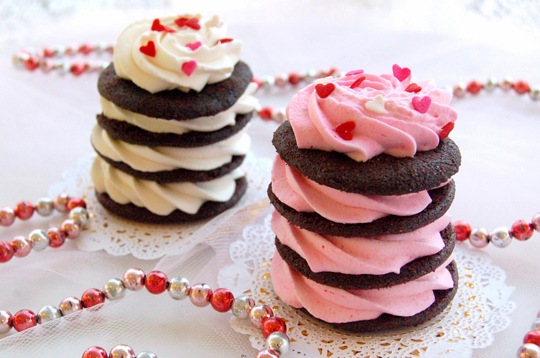 Love is in the air and majority are on sugar rush from all the decadent desserts available this month of love. Popular bakeshop M Bakery releases a selection of Valentine’s Day-inspired versions of its classic offerings which anyone with a sweet tooth won’t be able to resist. 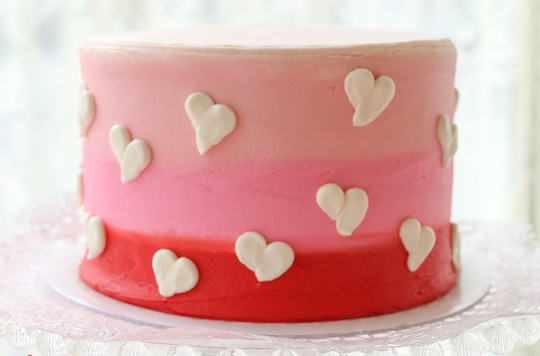 Make someone’s heart melt with a 6-inch or 9-inch classic vanilla or chocolate cake with vanilla buttercream icing, made even dreamier with cute piped hearts design. Add a sweet dedication on top to make it more personal. 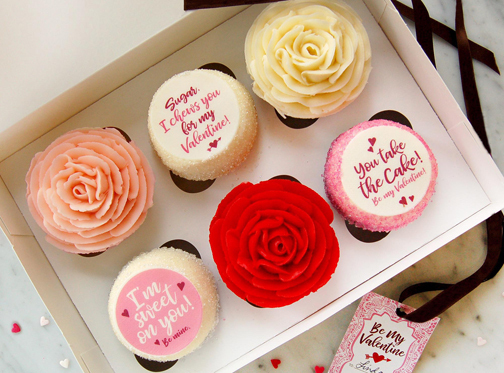 Sweep a loved one off their feet with a box of M Bakery’s cupcakes in vanilla, chocolate, and red velvet flavors, with three cupcakes decorated with lovely rose piping and the other three with special edible image messages. 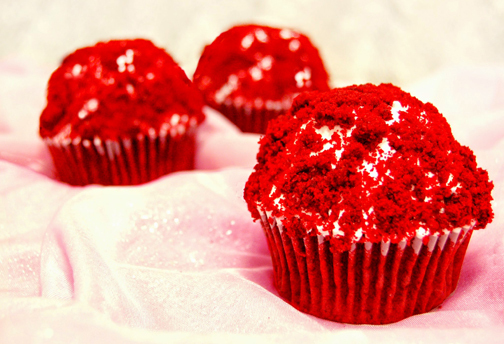 Another specially made cupcake is this topped with whipped vanilla icing and red velvet cake crumbs. 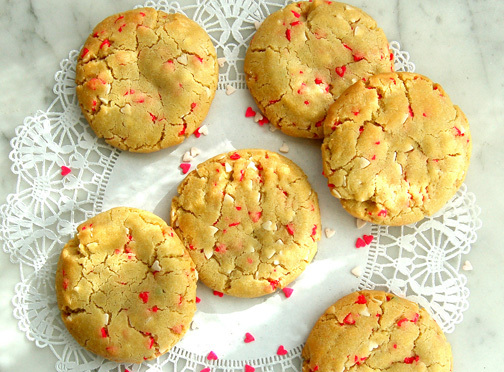 Indulge a cookie lover with this classic sugar cookie mixed with Valentine’s Day confetti. 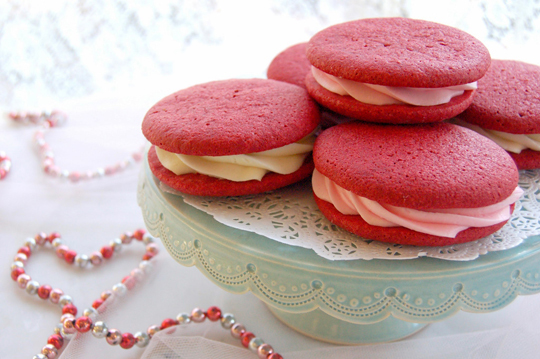 Get a personal portion of M Bakery’s handmade chocolate wafers, layered with strawberry puree whipped cream cheese. It is sprinkled with red and pink hearts. Share a piece of this whoopie goodness made with vanilla buttercream that’s sandwiched between two handmade mini red velvet cakes. M Bakery is at lower ground, Unit #23 5th Avenue corner 28th Street, One Bonifacio High Street Mall, Bonifacio Global City.